Activists have urged the UK government to take action on child labour after clothing firm Primark fired three of its Indian suppliers who used children. The suppliers sub-contracted smaller firms, which were using child labour to carry out embroidery and sequin work. The BBC's Panorama programme, which carried out a six-month investigation, alerted Primark to the problems. 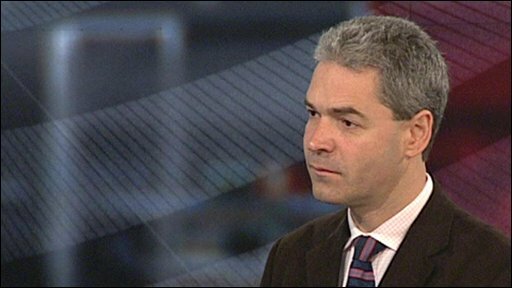 John Hillary of the charity War on Want said the government "should be looking down the supply chain". He told the BBC: "We have health and safety regulations in all of the workplaces in this country so it's a fairly understood idea. "What we're saying is that the British government should be looking down the supply chain, all the way to the factories in China, in Bangladesh, in India, and they should be calling on our retailers to ensure that those workers have proper terms and conditions." Consumers are increasingly demanding that companies produce goods in an ethical manner, turning the spotlight on worker wages and working conditions. Child labour activist Bhuwan Ribhu said it harmed children "practically every which way". "Socially, morally, psychologically, physically," he said, "we are essentially ruining all our future generation." "The information provided by the BBC enabled us to identify that illegal sub-contracting had been taking place and to take action accordingly," Primark explained. According to Primark, the garments affected accounted for 0.04% of the retailers' worldwide sourcing. It added that "the sub-contracting involved home working and in some instances children were also found to be working at home". "We take this lapse in standards very seriously indeed," said Primark, which is owned by Associated British Foods. "Under no circumstances would Primark ever knowingly permit such activities, whether directly through its suppliers or through third party sub-contractors." Under the terms of its code of practice for suppliers, Primark prohibits the use of child labour in its manufacturing chain. Primark says it will terminate relations with suppliers guilty of certain "transgressions" and those unwilling to make the "necessary changes" to their employment practices when breaches of its code are uncovered. Primark has proved one of the UK High Street's unquestioned success stories in recent years, its mixture of low prices and accessible fashion proving a hit with varying age groups. It currently has more than 170 stores and made a £200m profit last year on total sales of more than £1.6bn. Leading European and US retailers have come under growing pressure to ensure that workers in their supply chain - particularly in labour-intensive markets such as India and China - are not exploited. Companies such as Nike have responded to consumer concerns about ethical standards in the retail industry by making public details of all their suppliers. But charities and fairtrade groups have criticised other retailers for failing to follow suit and argued that many popular products continue to be sold in developed countries at a fraction of their true cost of production. A Panorama special on Primark will be broadcast on BBC1 at 9pm on 23 June. 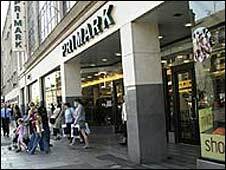 Update June 2011: The BBC Trust has upheld a complaint from Primark about the Panorama programme.